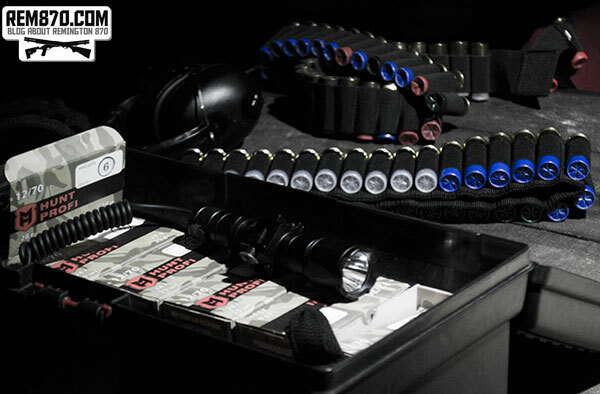 Let’s start with the test of tactical flashlights. 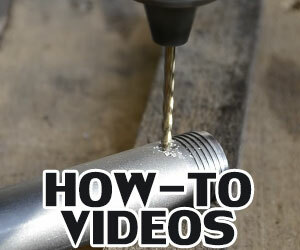 I have made a review of tactical flashlights and reviewd ways to attach flashlight to a shotgun some time ago. 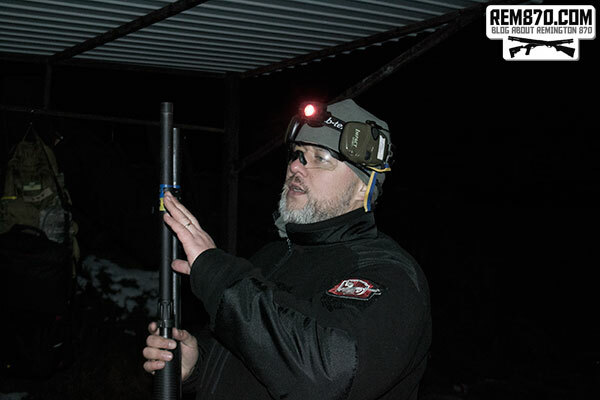 This training was another chance to test flashlights and find the best one. 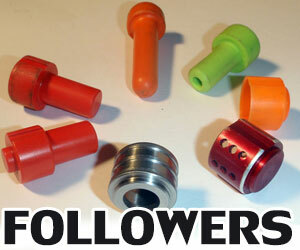 Here are results of the tests of brightness. 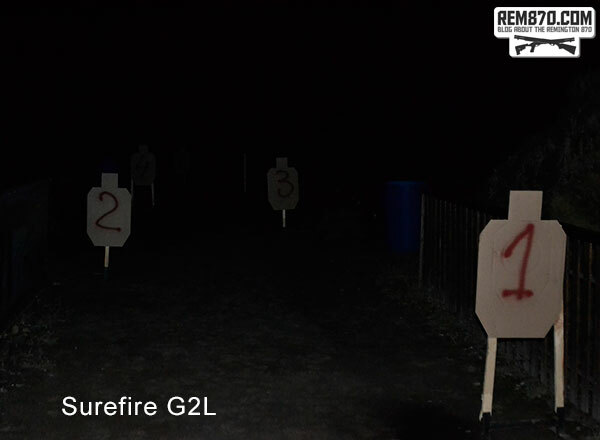 Distance between the targets with numbers are about 10 yards. 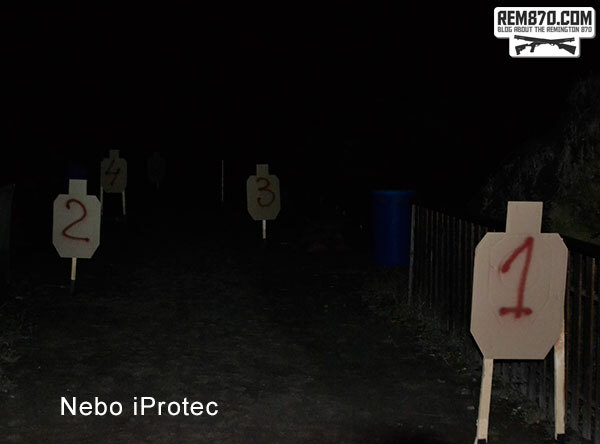 Please note that this was on a shooting range, so results indoors will be different. 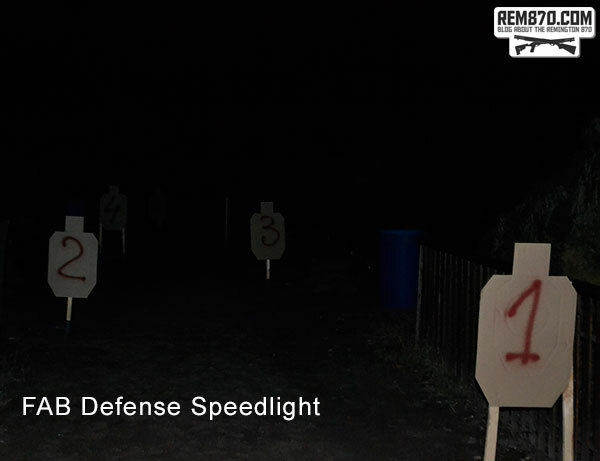 All flashlights were working good under 12 gauge shotgun recoil. There were several problems with magnetic holders and cheap Chinese clamps. I was surprised by inexpensive Nebo iProtec flashlight, it is bright and works good. You can find advantages and disadvantages of eash flashlight, clamp, holder or remote switch only testing them on the range. 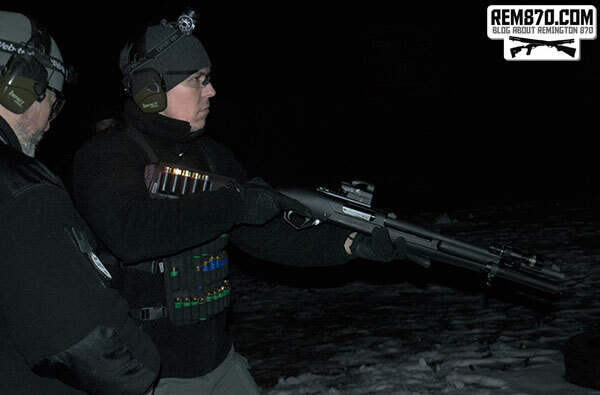 It was clear that remote switch is not a good idea for pump action shotguns. Some shooters changed the location of the flashlight, some changed the way they attach flashlight to a shotgun. 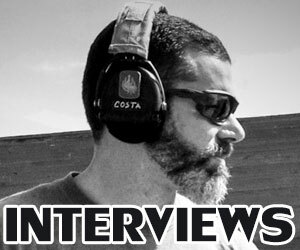 You can test your shotgun and your equipment only on the range during live fire drills. It may look cool but it may not work properly. I have Tritium sights on my Remington 870. 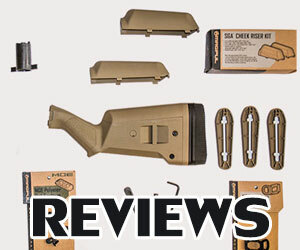 They are more expensive than regular sights but give you a lot of advantages. 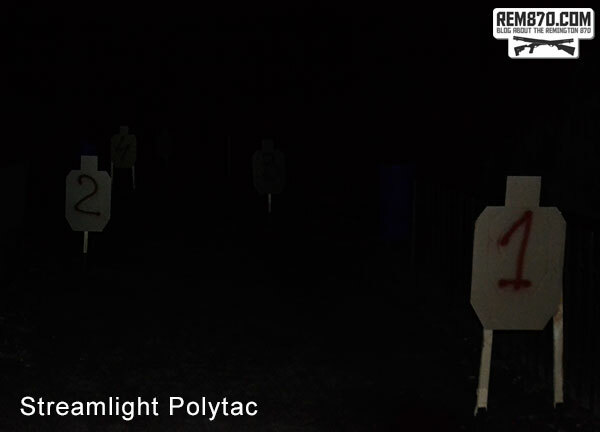 First of all, you control your sights even in complete darkness and can shoot immediately after turning on flashlight. Complete darkness is a rare thing because there is always some source of light, for example a streetlight. So, you can switch your flashlight momentary, see your target, switch off the light and make a shot. But remember that you must always be sure of your target. I was happy that I bought Tritium sights 6 years ago. They were very handy during night shotgun training. 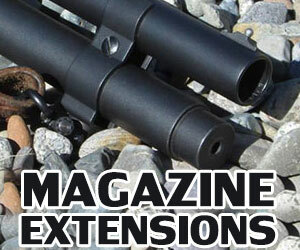 Overall, such training is a must for any gun owner which plans to use shotgun for home defense. 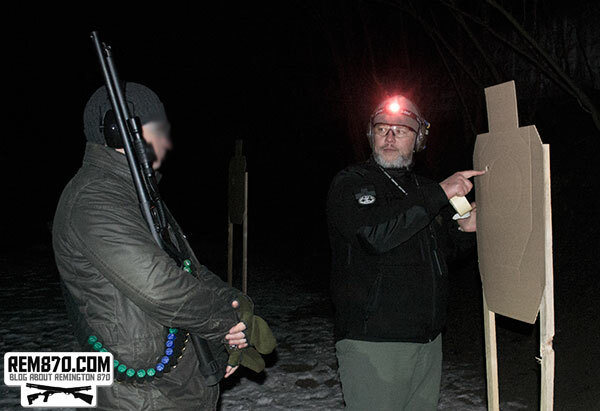 All basic skills are the same for the night shooting but conditions are very different and unusual. 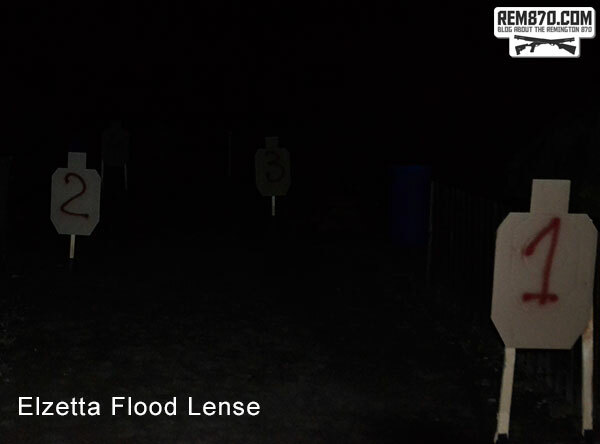 Low light conditions are challenging for both shooter and equipment. Try shooting at night and you won’t regret it. Try it to know and understand how to shoot in low light conditions.